The Yunnan-Tibet Highway (road 318) leads through spectacular landscape. There are several high passes with long climbs from hot deserts to snow. Large portions of the road are now paved, but the dirt road parts are still challenging, especially during the rainy season. 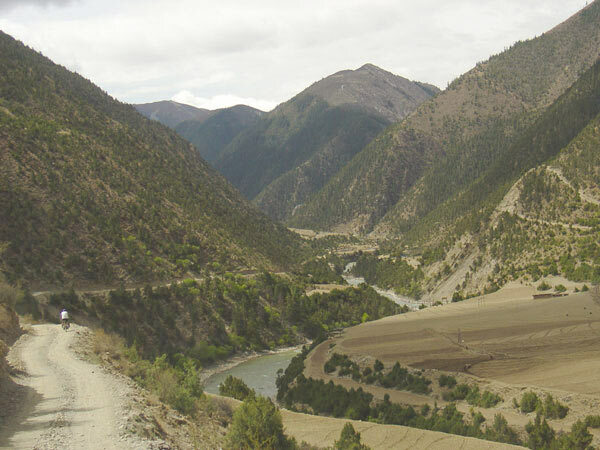 Be aware that significant stretches of the dirt road in the Parlung Tsangpo valley are subject to frequent landslides. Something about checkpoints (May 2005): There are many traffic control checkpoints in Tibet. Usually, at these checkpoints nobody cares about foreigners, as they are run by the traffic police (dark green uniforms). Thus, almost every town hase a barrier or some kind of checkpoint at the entrance to town. In East Tibet we found all of the barriers to be open and if at all some offical was present next to it, they did not care about us cycling through. Likewise, military does not care about foreign cyclists as long as you don't interfere with their business. Thus, military checkpoints are not to worry about, and military truck convois are a f***ing pain because of the dust, but nothing else. 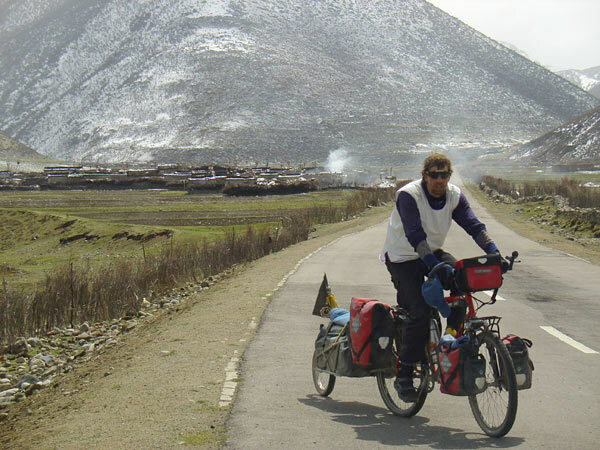 We cycled through Bayi/Nyingchi at night - it was a recommendation given to us by other cyclists we met in Lhasa (looking back I am not so sure anymore if that would have been necessary). Apart from that, we stopped in all major towns during the day to buy bread, but we never stayed in a hotel. Our impression: It seems that officially the region is opening up (you see a lot of English road signs etc.) and nobody seems to be systematically looking out for foreigners. We met many, many cyclists on road 318, also Chinese. However, local police may want to earn bribes or fines and thus every now and then pick up on an easy victim. By keeping a low profile, by being persistent and stubborn, and with a portion of luck you'll be o.k. Be aware that the situation can change any time - be careful anyway. 4635 3650 from Lhasa, the paved road goes all the way to km marker 4147! 4235-4230 2976 town Bayi, the road actually goes arond the town. No police station or barrier seen. 4214-4212 2960 town Nyingchi, the road leads directily past the police station. 4008-4006 2750 town Bomi; good bakery in town! 3584 3800 turnoff for the small road along Yu Chu (Wi Chu) river; the track begins at a white chorten. 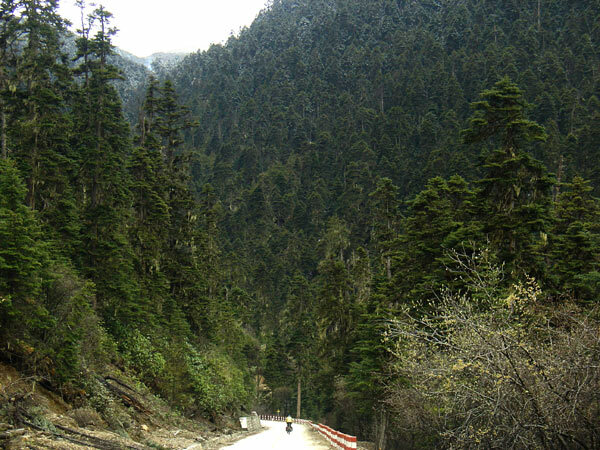 From there, it is two-and-a-half days of riding on a challenging small track through the Yu Chu valley to BiTu. Hiking from there on.